In order to keep pace with never ending demands of the customers, our company is instrumental in presenting an excellent quality assortment of Cotton Twine. With a view to suit varied needs of clients, we offer Cotton Twine in different sizes as per the requirement of the clients. Offered twine is widely recognized for its superb strength and color fastness. Being a customer driven association, we are occupied with offering an extensive variety of Hosiery Yarn. To satisfy the fluctuated requests of material industry, offered yarns are accessible in different thickness, details and hues. Generally utilized for weaving hosiery texture, these yarns are spun utilizing ideal quality strands and present day innovation. Encourage, these yarns are offered to our customers at ostensible costs. 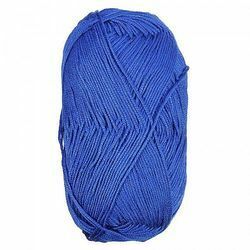 100% pure cotton yarns, acrylic yarns and polyester blended yarns in counts upto 100s in combed/carded suitable for knitting/weaving in single ply and multifolds too. 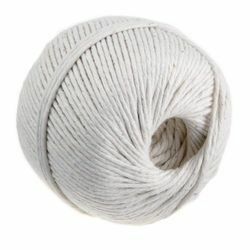 Can also offer gassed and mercerized yarns for weaving/knitting and sewing threads. 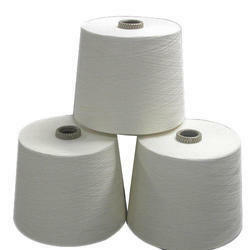 Can offer cotton dyed yarn in counts upto 36s in single and double ply. Gassed & Mercerized yarns also available in fine counts. Cheap quality yarns Non Auto Coned / Non EYC/Hand knoted in counts Ne 12s to Ne 20s suitable for carpets/ Towels/ Rugs etc. 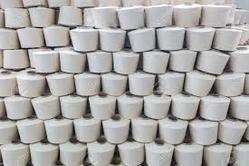 Available in count range Ne 12s to 30s in one ply and multifold. Can offer both raw white and dyed, can offer on paper cones as well as dye cones of 5' 57"